Have you used an infrared sauna? In recent years, infrared saunas have gained popularity in the wellness industry because it helps you to sweat better, lose weight, detox, sleep better and many other benefits. 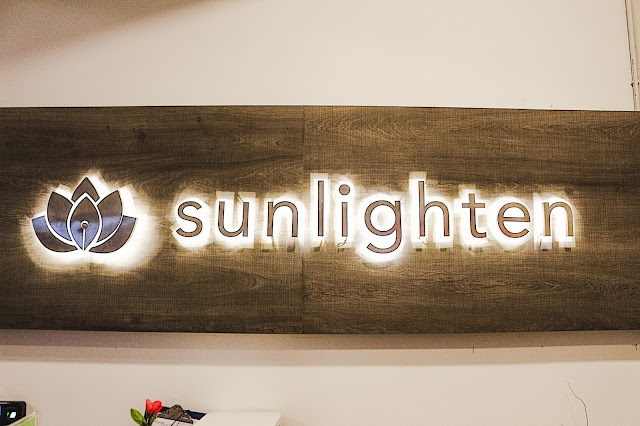 I've recently tested out the Sunlighten Infrared Sauna for the very first time at their outlet that's located in Puchong Bandar Kinrara and I'm surprised how refreshed and energized I was after my first visit. Sweating is a natural, essential body process designed to help your body stay cool. 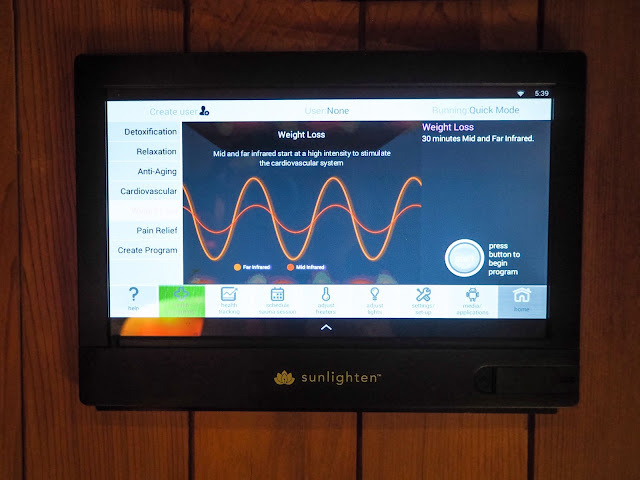 Sunlighten Infrared sauna promotes excellent ways to detoxify the body of toxic chemicals, heavy metals, and excess fat. Your skin is the largest organ in your body, it helps eliminate toxins through sweat but many people do not sweat on a regular basis. This is why repeated use of a sweat-inducing sauna-like Sunlighten will slowly restore skin elimination, which can help reduce your toxic load quite significantly. detoxification, weight loss, relaxation, pain relief, cell health, blood pressure reduction, improved circulation, skin purification and even wound healing. Also, sitting in a calm, quiet, warm environment where you don't have to do anything at all except relax and breathe can be wonderfully meditative. I was ushered to my room to change into the rob that's been prepared, to stay hydrated I drank a glass of water before entering, with 6 presets programmes to choose from your consultant will ask for your preference of the day you may choose from Cardio, Detoxification, Pain Relief, Relaxation, Weight Loss, Skin Health. It uses a mixture of Near, Mid and Far wavelengths depending on the program you choose and it usually lasts around 30-45 minutes. The sauna also comes with speakers for you to go into deeper relaxation with soothing music, in addition to that, there's also Chromotherapy, there are 15 colors to choose from and each color possesses frequencies of a specific vibration, and each vibration is related to different physical symptoms. Sunlighten Infrared Sauna is comfortable to be in, it doesn't feel as hot as the traditional sauna which is very difficult for me to stay in for too long and for someone who loves to workout like me, Sunlighten Infrared Saunas can help with recovery after exercise because it helps to loosen our muscles and reduce stiffness, and discomfort. It was a relaxing session and I had a good sweat how I wish to own one at home, after seeing the health benefits.